Great flavors going on in this cake! 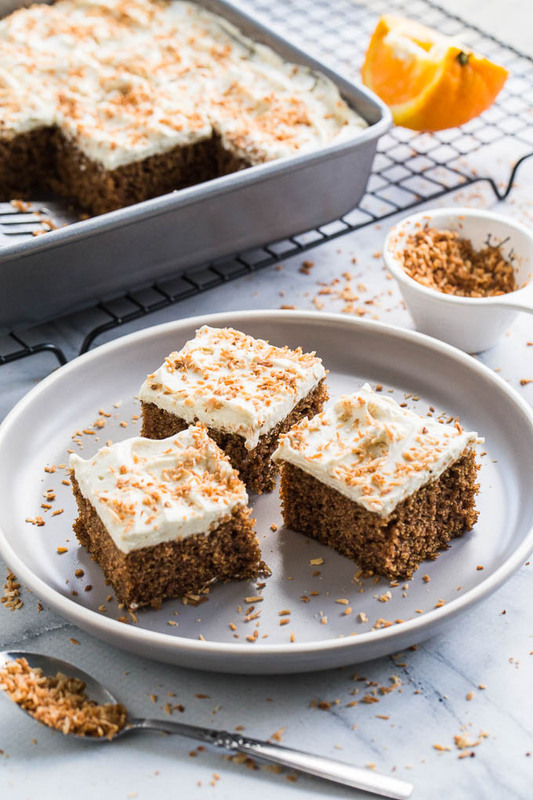 Hubby and I both love the warming flavours of chai so this cake would be a hit in our home! So glad you finally got around to sharing it…you’ve been holding out on us, lol 😉 Cheers to a wonderful weekend ahead, Leanne ! Thanks Dawn! My hubby even enjoyed this one too, so it’s definitely a winner in our house! Hope you have a great weekend too! Chai is totally under-appreciated! I went on a huge chai kick a couple of years ago and still make those recipes alllll the time. Nothing beats warming spices this time of year! Plus cardamom is my all-time favorite flavor so I can’t get enough. 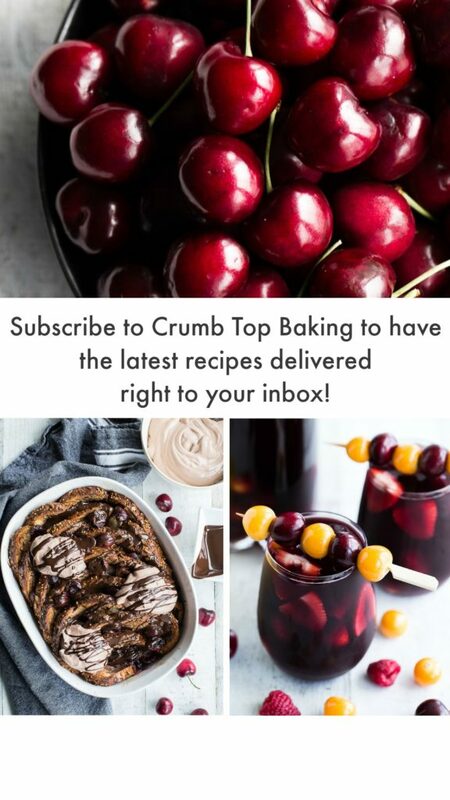 This cake sounds delicious and I’ll have to try it soon! Thanks Kelsie! Now that the weather is getting colder around here, I need all the warming spices I can get! I’ll have to take a look on your site for some of your chai recipes! Happy weekend Kelsie! OMG! I just made a chai spice loaf Leanne! Chair spices are my all time favorite. So cozy and warm, right?! I love the sound of this one and that frosting?! I’ve got to try! Delicious work my friend! Thanks so much Mary Ann! Chai is definitely warm and cozy. And I love the sound of your chai spice loaf! 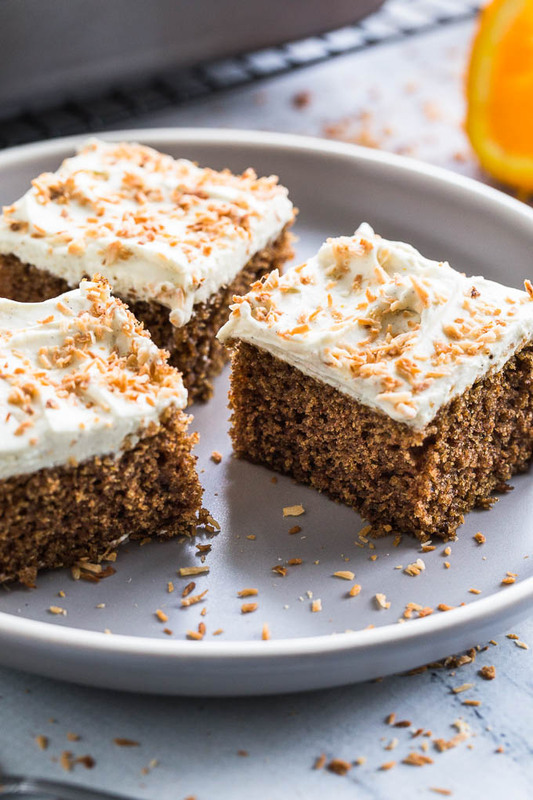 As for the frosting, coconut whip is my favourite way to frost desserts. Just change up the flavours, and it works almost every time! Hope you have a great weekend! Hi! I just came across your page. So glad I did.. You have an amazing site.. Love this cake, especially the orange cardamom frosting.. Yumm!! Thank you so much Arpita! I’m glad you found me. The frosting is probably my favourite part. I used it as a pancake topper yesterday for breakfast! I think of chai spice in the fall just as often as I think of pumpkin spice — it’s got the perfect cozy warm flavors! 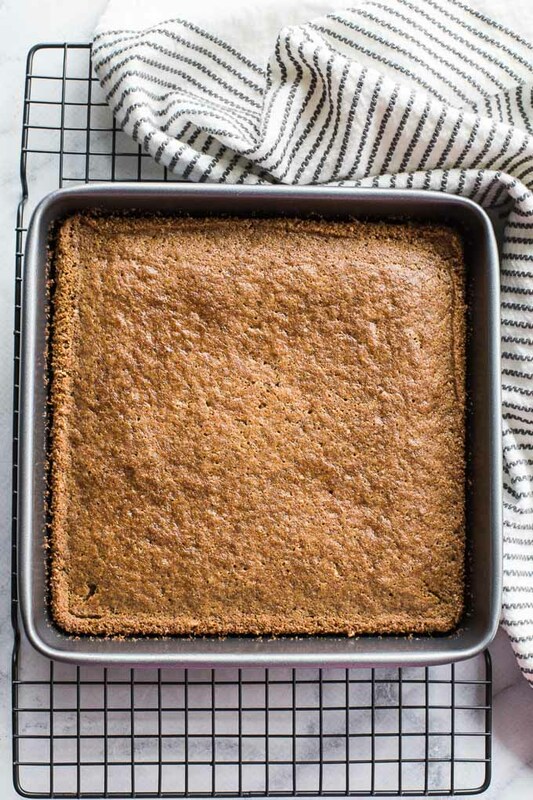 This cake is perfect for fall baking and I love that you used whole wheat flour! Thanks Marcie! Chai spice is wonderful for fall! I rarely bake with white flour any more, and whole wheat works as an alternative in most cases. I even made this cake with spelt flour and it turned out well! You had me at cardamom…lol! Any time I see that word, my mouth starts to water. And you can never go wrong with chai spice! This cake looks incredible, Leanne! So intrigued by that coconut whip frosting – sounds incredible! Thanks Marissa! I’ve definitely been enjoying cardamom in baked goods lately! 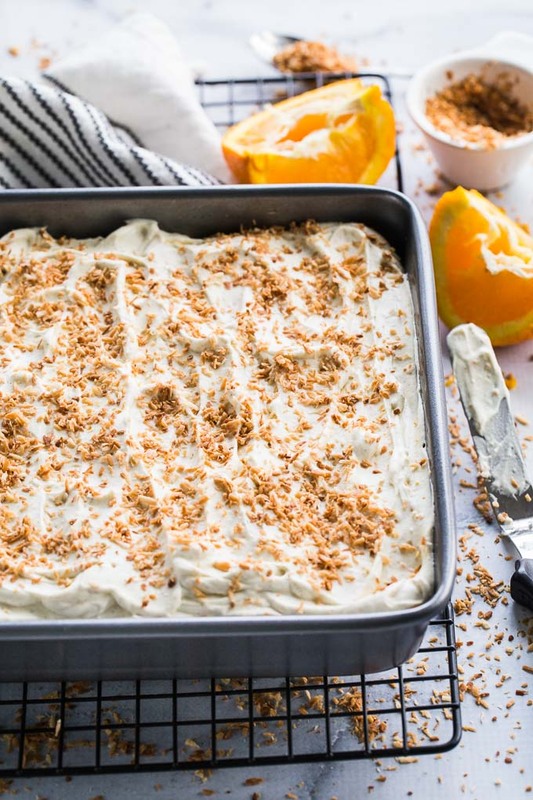 And the coconut whip is just a go-to frosting for me. I change up the flavours for all sorts of desserts! Glad you like it! This looks totally delicious and must have so much flavor! Perfect for fall! Thanks Karen! It has lots of fall flavour for sure! Thanks Ashika! 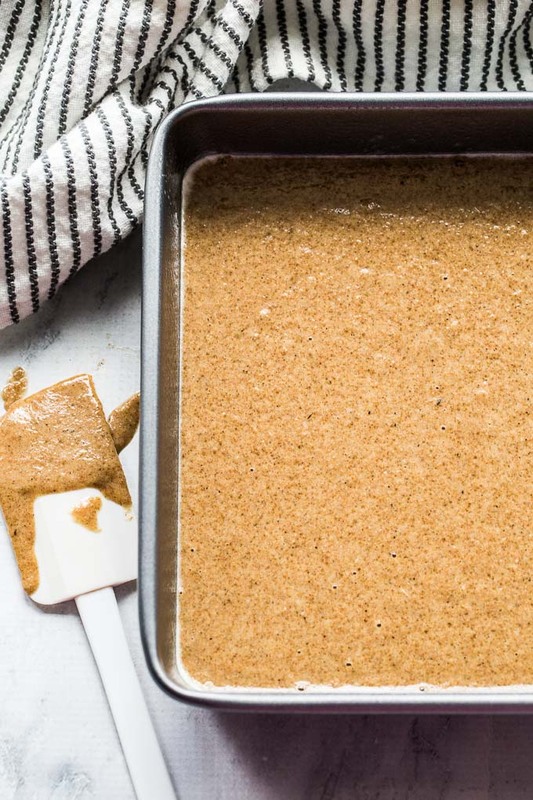 The chai spice really is a great holiday flavour! Thanks Dana! The orange works really well in the frosting and pairs nicely with the chai! This is a magnificent flavored cake!! So traditional yet so non traditional, I love it! Agreed, chai is way underrated and those spices with the orange and coconut are heaven! Take care. Thanks so much Stacey! I’ll definite be pairing chai, cardamom and orange together more often! I’m gluten free so is there a flour you might suggest to sub for the whole wheat one? Hi Kristin. Thanks for stopping by! 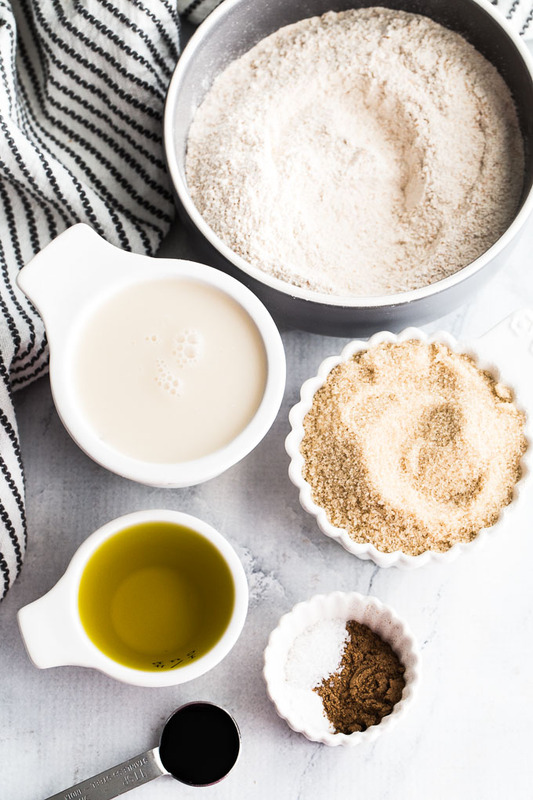 I haven’t tried making this cake with a gluten-free flour. But if I were to make it gluten-free, I might try to replace the whole wheat flour with half almond flour and half buckwheat flour. I’ve done this for other whole wheat recipes, and it worked out well. If you try it, please let me know how it goes. Thanks! I never would have thought to use cardamom…Great idea! These look delicious and would be perfect for the holidays! Thanks Terry! 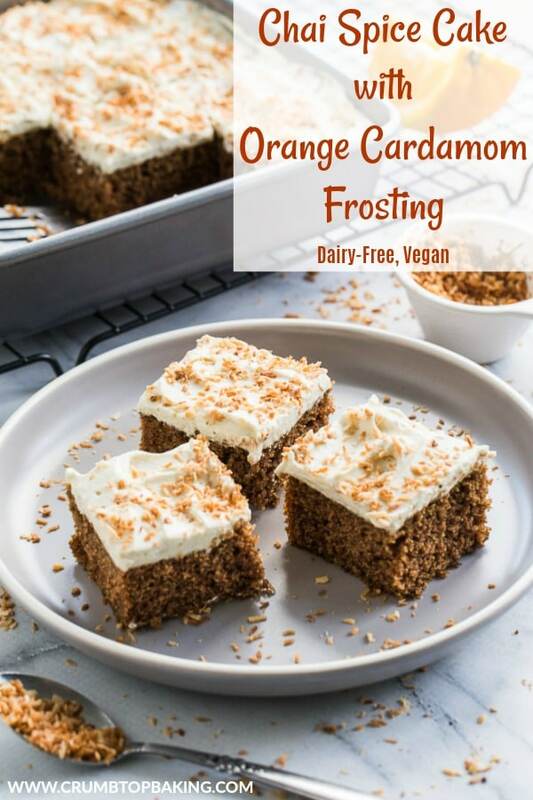 The cardamom pairs nicely with the orange zest! And it’s definitely a recipe I’ll be making over the holidays! Hope you’re having a great week! Oooh Chai and orange sound so good! I can’t wait to make this! Thanks Corinna! Hope you like it! Haha! Thanks Terri! I love my pumpkin too, but chai is such a lovely flavour! Hope you had a great weekend! I’m personally not a fan of chai , and pretty much won’t touch any chai drinks haha! BUT, I do appreciate chai in baking for the warm comforting flavors it imparts. 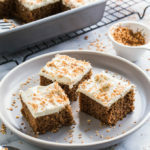 Pairing the chai with orange here makes it sound like the perfect Christmas inspired cake, ideal for enjoying on a cold snow day with some tea or coffee! Thanks Markus. Chai is definitely not for everyone. But you’re right, it does add a warm flavour to baked goods. I also love to pair it with chocolate as it really enhances the taste. And enjoying this on a snowy day with a cup of tea works for me!